Make MIPS reporting easy for your providers by offering them an integrated MIPS solution that supports all the eCQMs and get a jumpstart on 2015 Edition Certification at the same time with MIPS-in-a-Box by MyMipsScore. Also available as a white-labeled plugin. Support all eCQMs without ever having to worry about the annual eCQM updates by integrating with MyMipsScore and inheriting the 2015 Edition Certification. Enable your clients to evaluate Quality measures from all Collection Types (eCQMs, MIPS-CQMs, QCDR Measures, and Claims) and select the best mix of measures for submission by integrating with MyMipsScore. Offer Qualified Registry and QCDR as submission options in addition to direct reporting via EHR, for 2019 for Quality, PI, and IA categories in an end-to-end manner eligible for CEHRT Bonus. Provide your customers the ability to calculate and monitor their MIPS score regularly and estimate their payment adjustment. The ONC award winning app simplifies the technical details of the 2015 Edition Certified Health IT for providers. EHRs can add information to their listing which is not available on CHPL such as product features, specialties, care-settings, practice sizes supported, pricing options and customization based on implementation models, and product integrations. 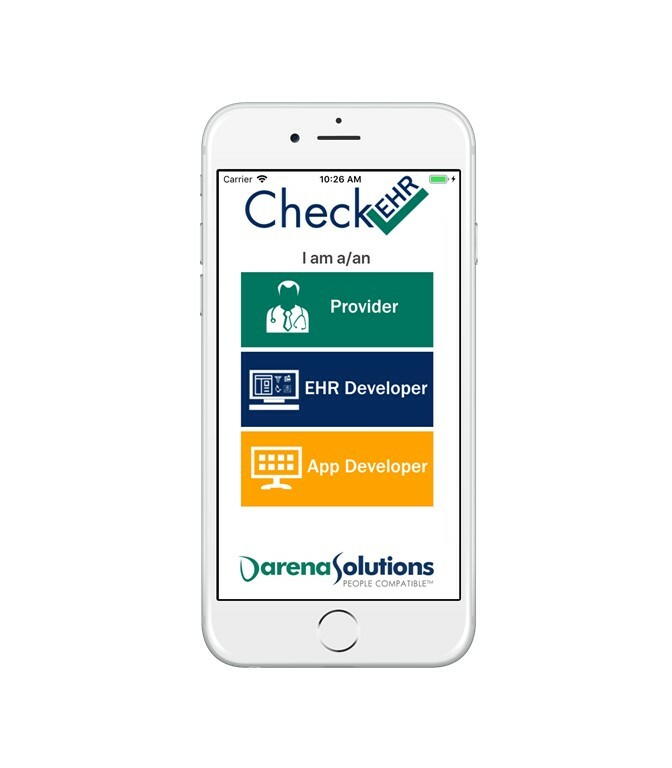 CheckEHR enables interested parties to look up an EHR’s API information. It’s an opportunity to highlight your EHR’s API capabilities for app developers, potential partners looking to integrate, and potential customers. Blue Button® is a government initiative that is not affiliated in any way with BlueButtonPRO. BlueButtonPRO app is approved by Centers for Medicare & Medicaid Services (CMS) for use by Medicare beneficiaries, but is not sponsored by the Federal Government. Empower providers to deliver efficient care, ensure patient safety, encourage patient engagement, and meet regulatory requirements of various federal and state value-based programs in the process. With BlueButtonPRO, clinicians can provide patients electronic access to their health information, a requirement under MIPS, and Promoting Interoperability (PI) Programs for Medicare and Medicaid. Enable your EHR to incorporate data from multiple sources to provide a more comprehensive medical history. With BlueButtonPRO, EHRs can make the FHIR ready apps available to the providers, delivering a more customized experience to them effortlessly.